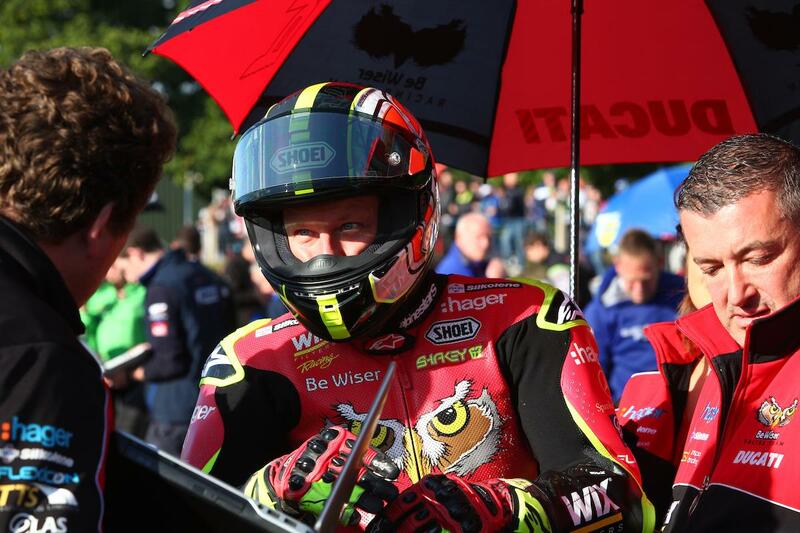 Shane Byrne has said the 2017 title fight ‘is not over’ despite having lost 23-points to rival Leon Haslam at Oulton Park this weekend. The five-time champ struggled to find his feet on Friday but it looked like he’d found something come qualifying as he stormed to second on the grid. However, it’d all go wrong as he suffered with a failure with his visor’s anti-fog pinlock meaning he’d endure extremely limited visibility in the wet opening race. Going on to finish tenth, his worst finish of the season, Byrne would have to fight through from the fourth row in the second race and while he had the pace, he admits he perhaps tried too hard and lost ground due to mistakes in the closing stages. The result marks the continuation of a challenging run of rounds for Byrne, who hasn’t won a race since he dominated at the Brands Hatch Grand Prix circuit back in July.